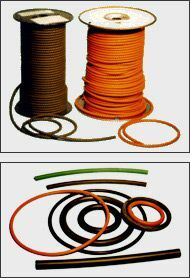 Toronto Belting | Extruded O-Ring Cord | Global Rubber Products Ltd. Global Rubber Products Ltd. maintains a stock of imperial and metric O-Ring cords, ranging in sizes from 1/16 of an inch to over an inch. We also have metric sizes from 1.6mm to over 25mm. Extruded O-Ring cords come in a number of compounds, including: Buna’n 70 durometer (Nitrile), Buna’n 90, Neoprene® 70, Aflas, Isoprene, Fluoroelastomer 75, Silicone 70, and EPDM 70. Round, flat, v-belt, and custom Urethane rings are available. View our product catalogue for more information, or simply call Global Rubber Products Ltd today! 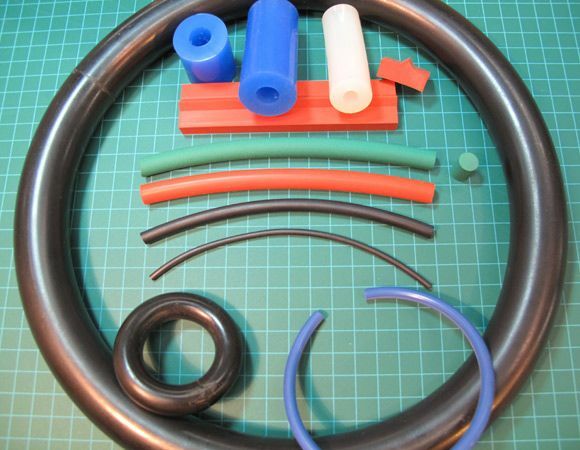 Other sizes of extruded O-Ring cord are available on request. Square cross sections available in compounds: Buna’n 70 durometer (Nitrile), Neoprene® 70, Fluoroelastomer Silicone 70, EPDM 70. Other sizes of square cross sections are available upon request. Orange round cross sections are available in Urethane 80 durometer.